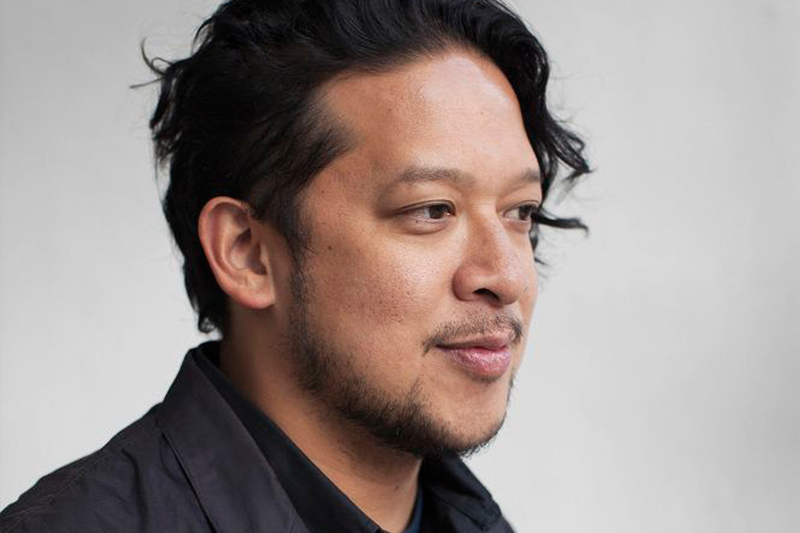 Jon Santos is a multi-disciplinary artist working in video, sound, performance and sculpture. Recent projects include The Last Weekend with Peter Coffin, Telegraph at the Storefront for Art and Architecture Gala and Social Mirroring at the New Museum. He is currently an adjunct professor at Pratt Institute and former visiting artist at Saint-Lukas Academy in Brussels, adjunct professor at the California College of Arts in San Francisco, and guest lecturer at the American Institute of Graphic Arts in Washington, DC. Santos is the principal of Common Space Studio, a multidisciplinary design and art studio nominated for the 2012 James Beard Foundation award for Outstanding Restaurant Graphics. He has exhibited widely in group exhibitions at BAM, NY, WalkerArt Center, MN and the Cooper Hewitt Design Museum, NY. He has presented his work at Pecha Kucha New York and his work has appeared in the New York Times, VMagazine, Dossier Journal, Paper, Casa Vogue, Bidoun, the Fader, Casa Brutus, Communication Arts, +81 and I.D. He currently lives and works in New York City.